Repeated testing to confirm elevated glucose or HbA1c levels is currently required for a definitive diagnosis of diabetes. A recent study supports the clinical use of a combination of fasting glucose levels and HbA1c from a single blood sample to identify undiagnosed diabetes, according to research published in Annals of Internal Medicine. A team of investigators from Johns Hopkins Bloomberg School of Public Health and Johns Hopkins University sought to evaluate the ability of definitions of confirmed undiagnosed diabetes (elevated fasting glucose and HbA1c levels) and unconfirmed undiagnosed diabetes (elevated fasting glucose or HbA1c levels) to identify subsequent diabetes diagnosis. The researchers analyzed more than 25 years of follow-up data from participants of the Atherosclerosis Risk in Communities (ARIC) study (n=13,346; 12,268 without a diagnosis of diabetes). Confirmed undiagnosed diabetes was defined as elevations in both HbA1c levels (≥6.5%) and fasting glucose levels (≥126 mg/dL). Unconfirmed undiagnosed diabetes was defined as only 1 elevated measure. At baseline, 978 participants had elevated fasting glucose or HbA1c levels, among whom 39% who had confirmed undiagnosed diabetes and 61% who had unconfirmed undiagnosed diabetes. Participants with confirmed undiagnosed diabetes had a higher prevalence of risk factors for diabetes and cardiovascular disease than those with unconfirmed undiagnosed diabetes. They also had a higher prevalence of obesity (BMI ≥30 kg/m2; 64.5% vs 51.0% in the diagnosed diabetes group vs 46.6% in the unconfirmed group). The confirmed definition of undiagnosed diabetes had a high rate of accurately predicting subsequent diabetes diagnosis during follow-up (98.1% at 5 years and 99.6% at 15 years). The adjusted cumulative incidence risk of subsequent diabetes diagnosis in the confirmed undiagnosed group was 42.0% at 5 years and 97.3% at 15 years. A limitation to this study is that the results lack information on repeated testing at a second time point in a new blood sample or contemporaneous information on 2-hour glucose levels. 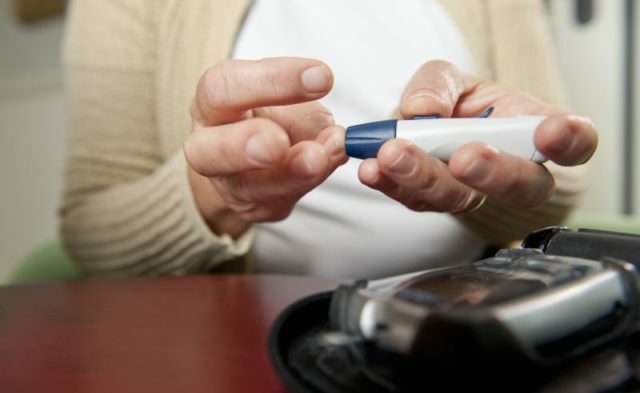 However, the study results support the clinical use of a combination of fasting glucose levels and HbA1c from a single blood sample to identify undiagnosed diabetes.